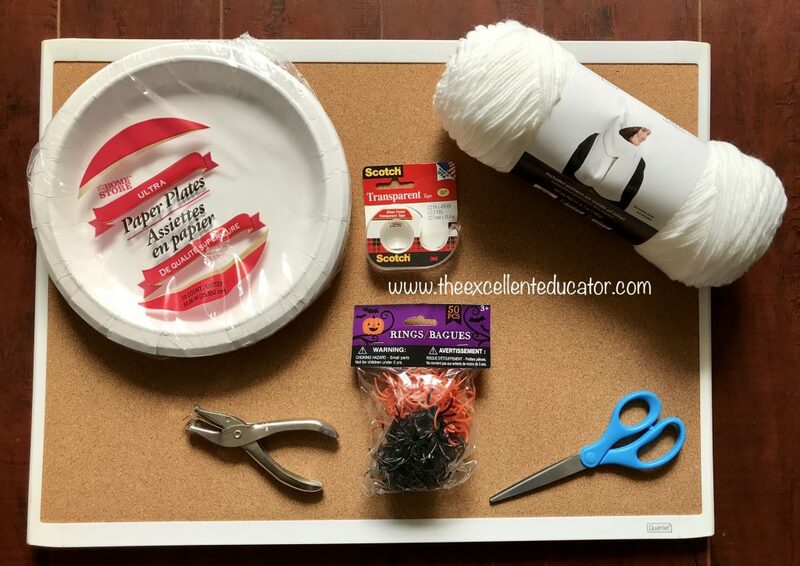 Yay October and yay for fall…Those are two things that I love! It’s something about the weather changing, fall holidays, and earth tone decor that make my heart happy! This is also the time of the year that children are extra pumped because of pumpkins and any sign of anything Halloween. 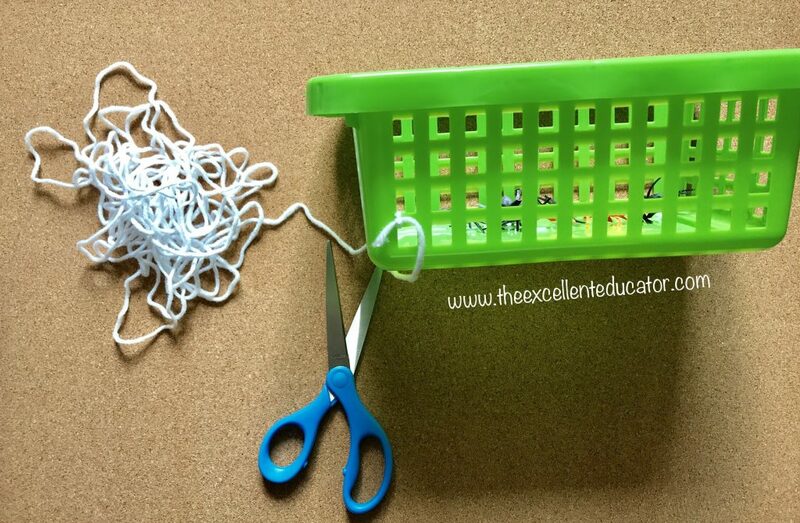 Every excellent educator tries to infuse this into their class somehow, as a simple means of engagement. 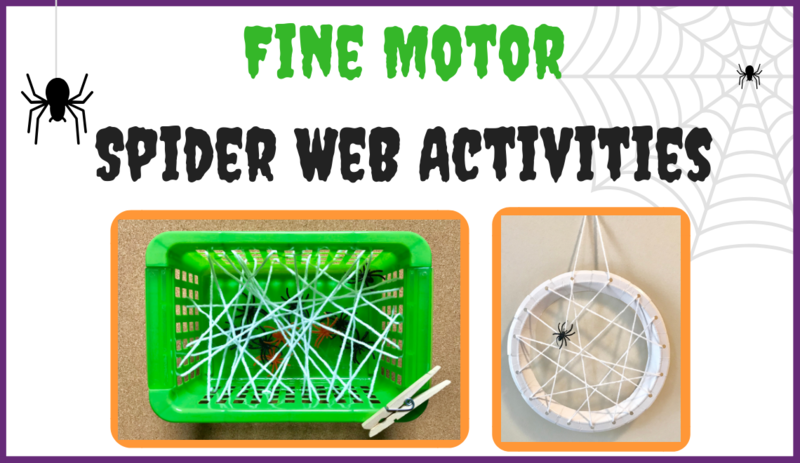 Since children in Pre-K/K are usually still needing fine motor practice in October, my featured activity incorporates fine motor practice along with a semi-spooky feel 🕸🕷! 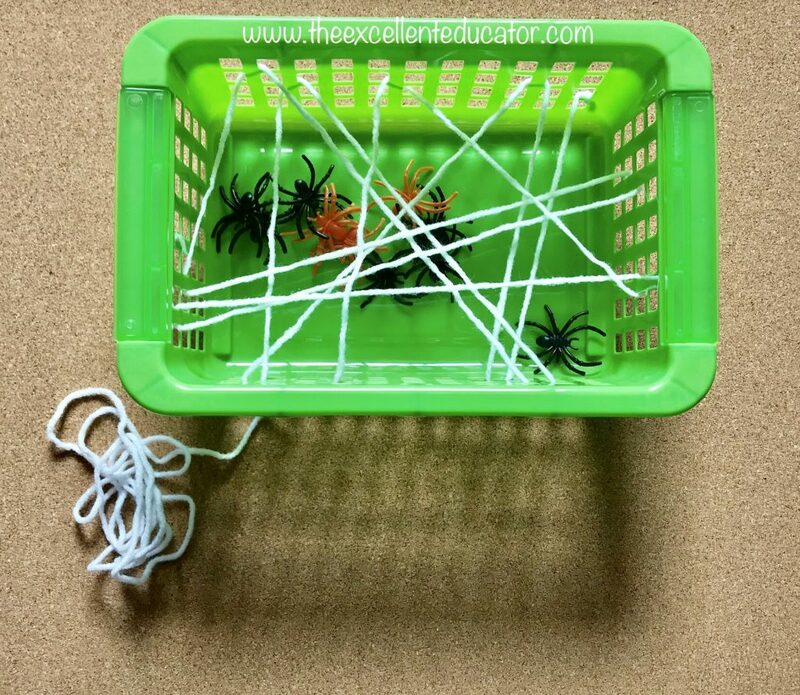 First, place a few plastic spiders in the bottom of the container, then cut a substantial amount of yarn to create the spider web. 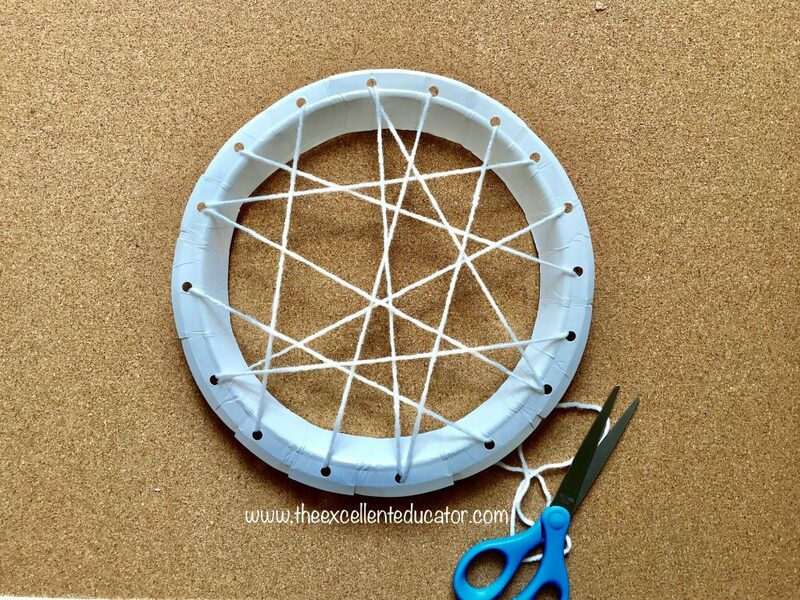 Once you finish the web, tie a knot in the yarn and cut any excess. 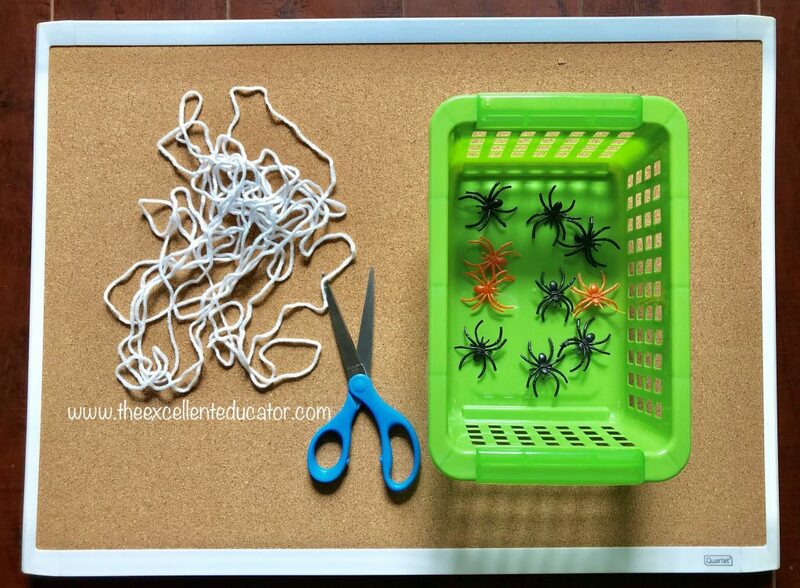 Have children use the clothespins to try to grasp the spiders and free them from the web! 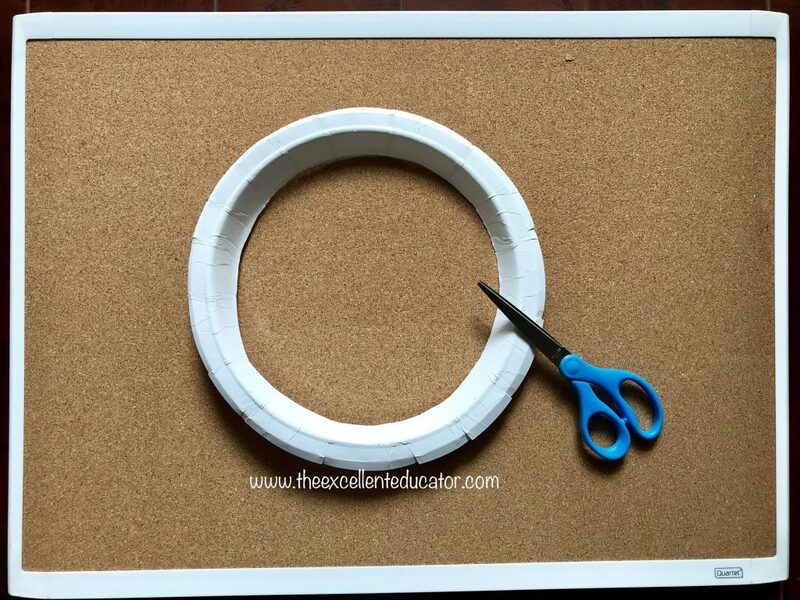 Use your scissors to cut the center out of the plate. 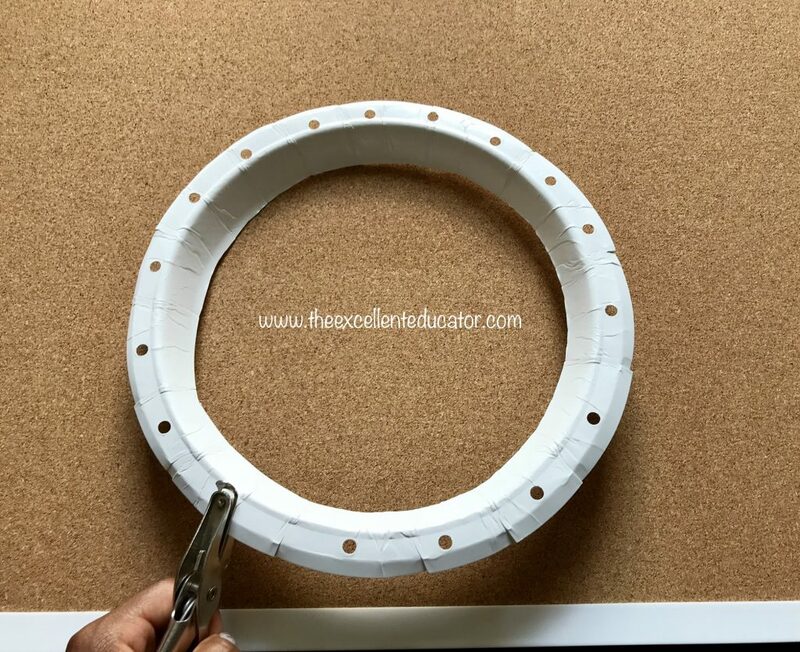 Use your hole punch to place holes around the rim of the plate. Cut a substantial amount of yarn (approx. 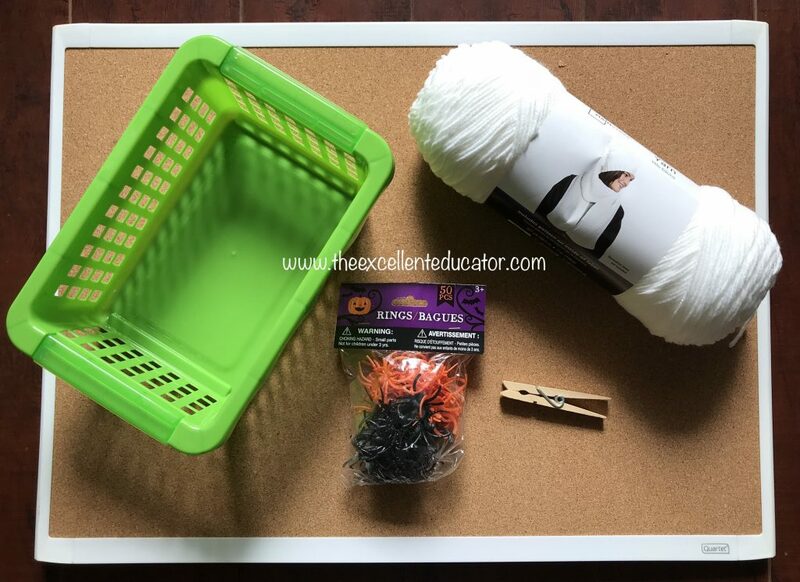 6 ft) and wrap tape around the ends of the yarn to make threading easier. 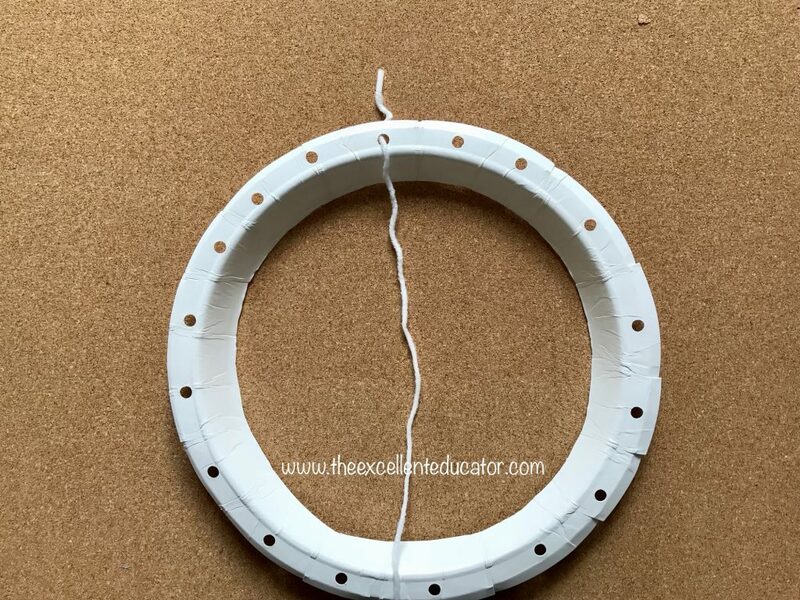 Feed one end of the yarn through one of the holes and use tape to secure it on the back of the plate. 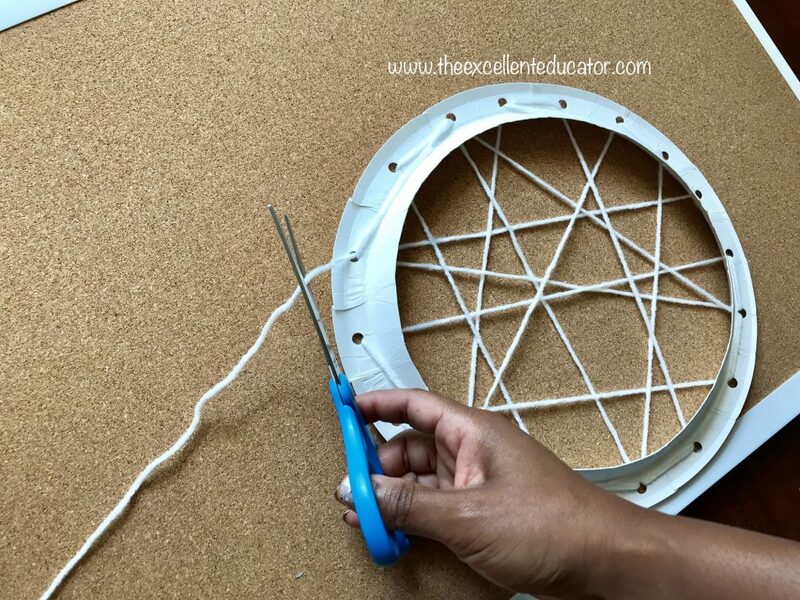 Feed the other end of the yarn through another hole and continue weaving the yarn back and forth through all the holes to form a web. 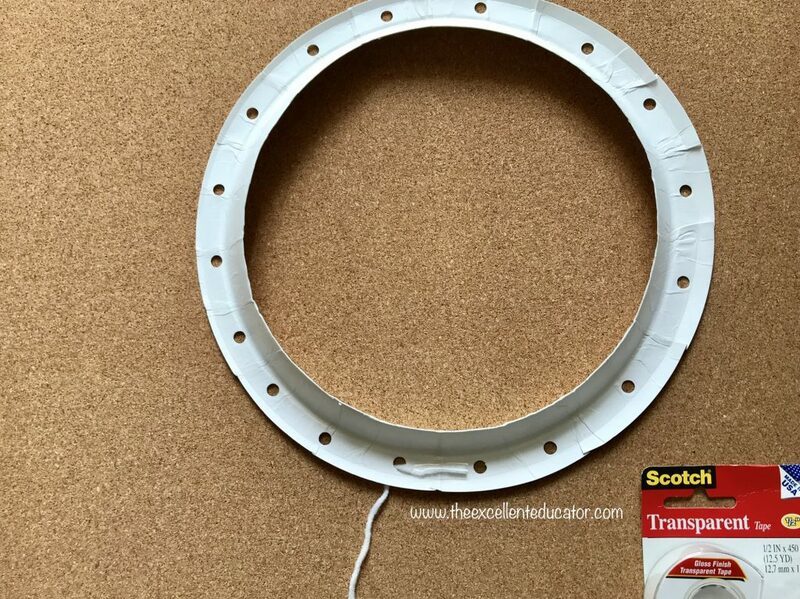 Cut any excess and secure the end on the back with tape. 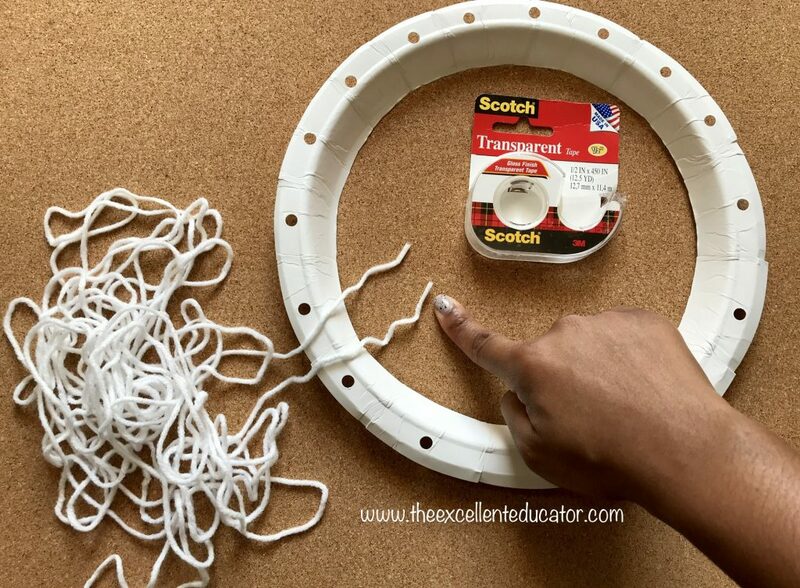 Cut a 6-inch piece of yarn and thread it through the two top holes of the plate. Secure it with tape. 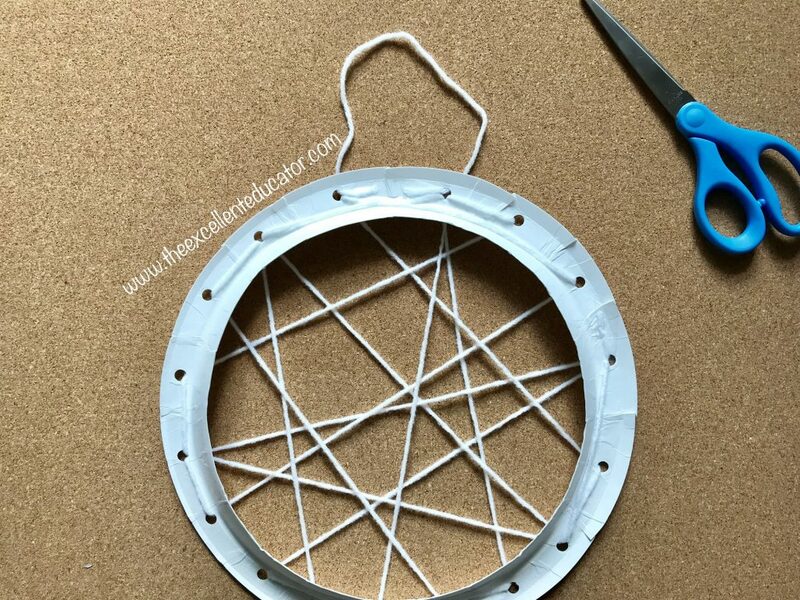 Add a spider ring to the web. 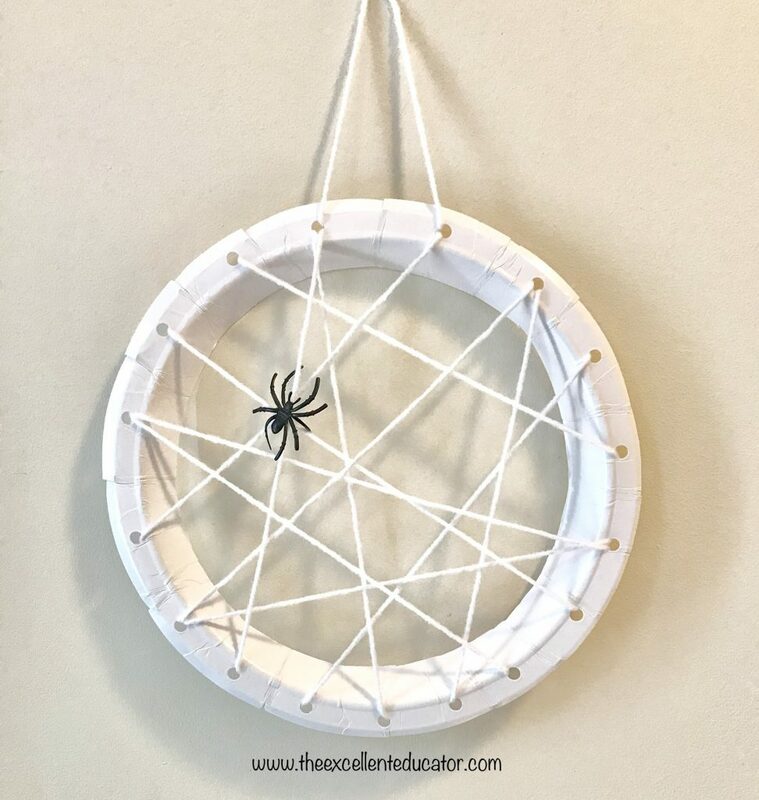 Now your spider web is ready to hang! 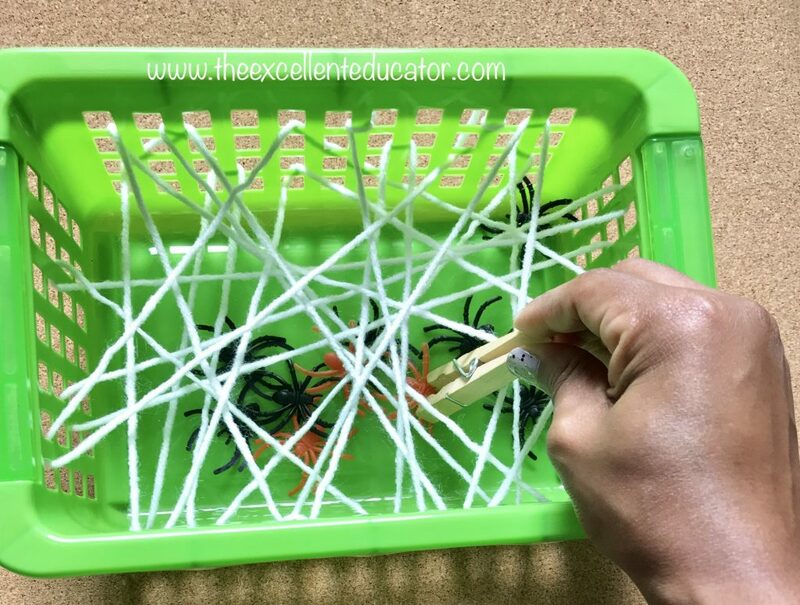 If you think your students would love these activities, be sure to check out my Spider Shapes differentiated game!